How to spot a fraud « Nothing in Biology Makes Sense! 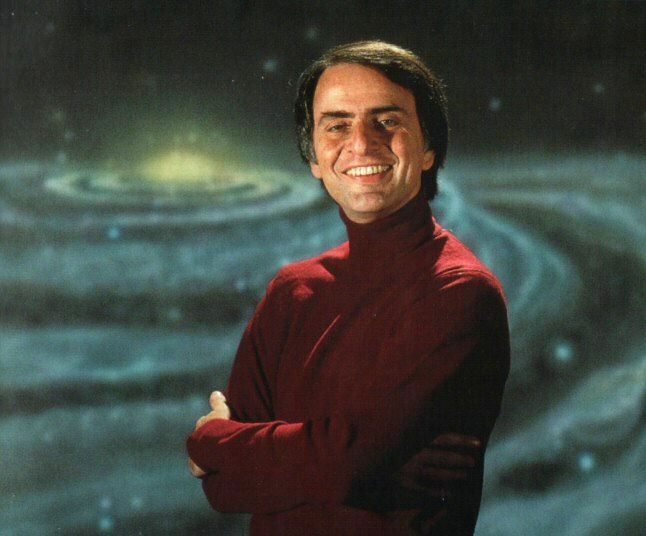 Carl Sagan was a vocal proponent of science, among many many other things. One of his great legacies are a series of spectacular popular science books. A recent post over at Brain Pickings recounts a chapter from Sagan’s The Demon-Haunted World: Science as a Candle in the Dark entitled “The Fine Art of Baloney Detection”. In this chapter Sagan reflects on the many frauds that claim to be fact, or science. Rather than attempt to defraud each fraud individually, Sagan gave us a the tools to arm ourselves against being deceived by fraud, allowing us to grow and defraud liars ourselves. Thanks Dr. Sagan, we are forever grateful!